Do you have the best books for UIIC Assistants Exam. 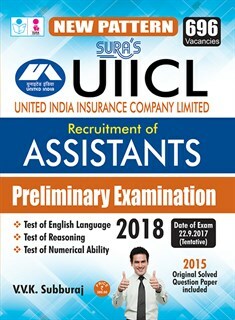 Sura's latest version of UIIC Assistants exam books , It has fully covered exam pattern wise ie, reasoning, verbal, non verbal, General English, numerical ability, computer knowledge, current events , previous years solved question papers . Buy online UIIC Assistants exam books .